Focusing on Folk, Bluegrass, and Celtic music, the mission of 33Concerts is to provide quality music in intimate concert settings. For more than forty years, Bill has traveled back and forth across North America, singing his songs and delighting audiences at festivals, folksong societies, colleges, concerts, clubs, and coffeehouses. A New England native, Bill became involved with the Boston-Cambridge folk scene in the early 1960’s and for a time, emceed the Sunday Hootenanny at the legendary Club 47 in Cambridge. Bill quickly became a popular performer in the Boston area. From the time in 1971 when a reviewer from the Boston Phoenix stated that he was “simply Boston’s best performer”, Bill has continually appeared on folk music radio listener polls as one of the top all time favorite folk artists. Now, well into his fifth decade as a folk performer, he has gained an international reputation as a gifted songwriter and performer. Visit Bill’s website, or reserve your seat now. They treat visiting troubadours with the highest consideration and courtesy. The audience clapped, the check cashed, and the lasagna was magnificent. What else do you want? Larry’s Place – 33 Concerts! What an experience! From the moment you walk in you feel like you’re at a 60’s village coffee house. They left no detail unconsidered. From the food to the stage tech needs to the audience, this is a folk music experience of the highest level. 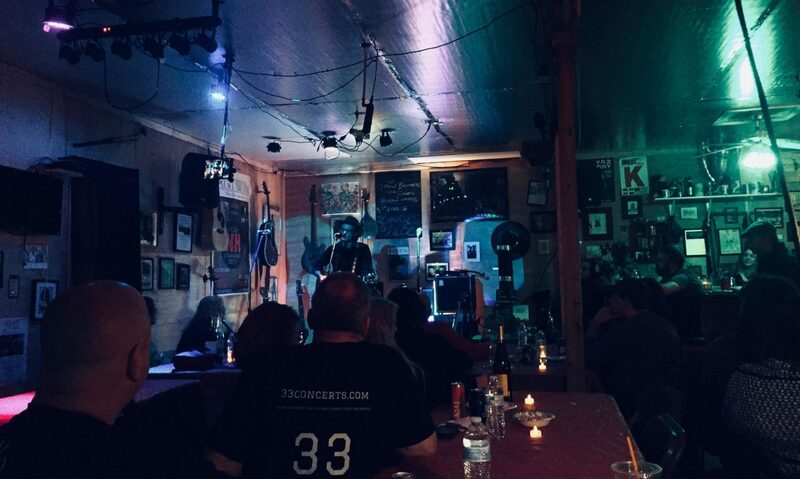 We recommend Larry’s Place to anyone who wants to be in an intimate space where community and music intersect. For information or booking requests, please contact us at booking@33concerts.com or call us at 603-836-6597.